THE BEST OF BOTH WORLDS-PRIVACY! LOCATION! LOOK NO FURTHER. 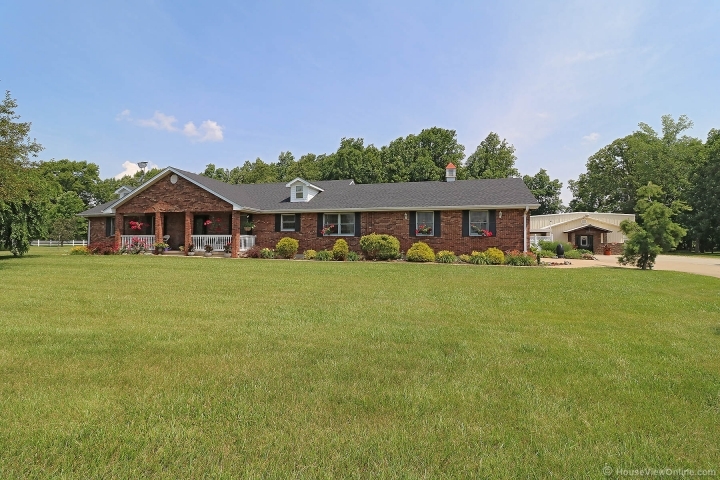 RARE FIND - Enjoy the gorgeous move in all brick 3 bedroom / 2.5 bath ranch on 5.33 gorgeous manicured park like acres. FOR COLLECTORS/HOBBYISTS OF ALL KINDS - amazing 3900+ SQ. FT. outbuilding-THE ULTIMATE MAN CAVE! Home boasts over 2200 sq. 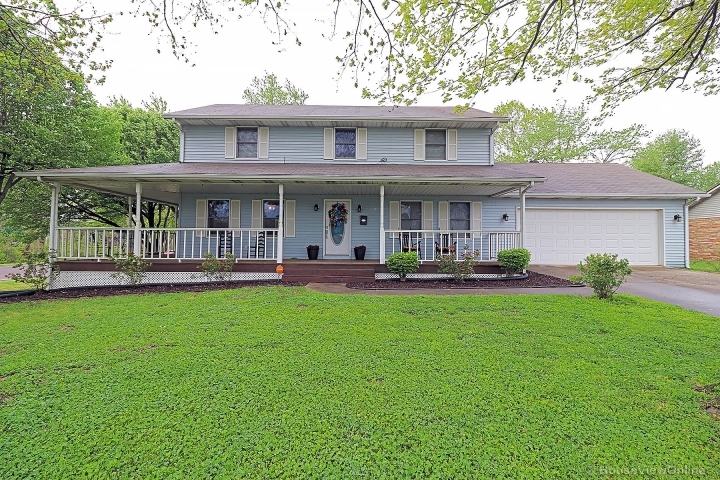 ft. hardwood floors, main floor laundry, master bedroom suite, covered patio, 2016-new septic system and geothermal heat. full basement. Lush perennial gardens (no green thumb - no worries it all comes back every spring). 2 car garage(24x24) with stamped concrete floor/cabinets/sink. THE MUST SEE insulated metal/steel outbuilding has electric, a/c's, furnaces, kitchen, full bathroom, space for large trucks, tractors, boats, 14+cars, oversized powered garage doors. Endless possibilities! Close to downtown historic Farmington. Walk to Engler Park w/trails, playgrounds, stocked lake. New Centene office bldg. bike/walking distance. Enjoy all Farmington has to offer! Living at its best! Motivated seller.